John and Jeff Clayton may well be the missing musical link between Whitney Houston, Michael Jackson, Madonna, Stevie Wonder and such jazz legends as Ella Fitzgerald, Lionel Hampton, McCoy Tyner and Woody Herman. These are just a few of the artists the Claytons have worked with over the years, separately or – in some cases – together. But these immensely talented brothers’ longest artistic tenure is with each other. But these immensely talented brothers’ most brilliant artistic tenure is with each other. 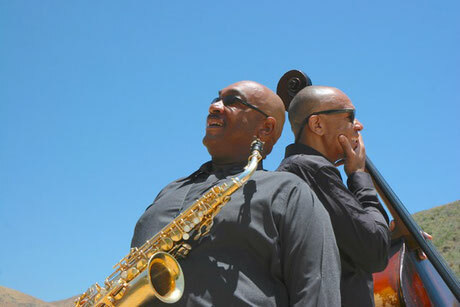 The Clayton brothers Quintet is an ebullient and swinging family affair spreading energy that goes from poignant to sizzling.